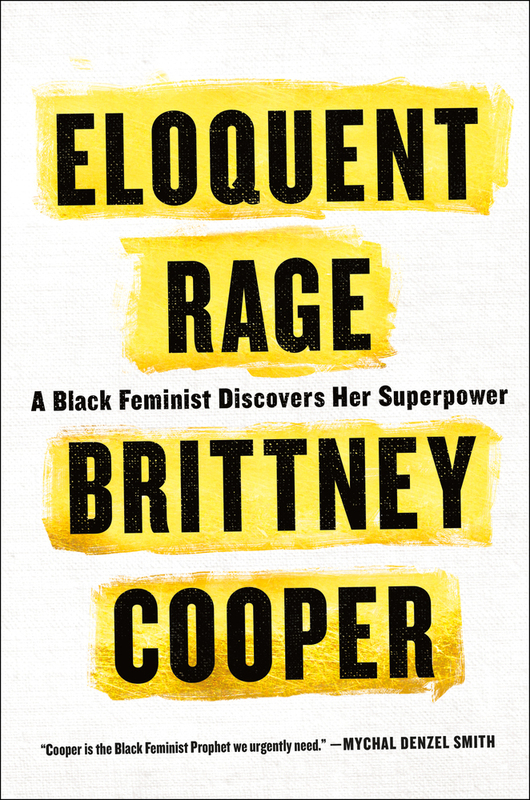 Not only is Professor Cooper’s rage eloquent, it is courageous. 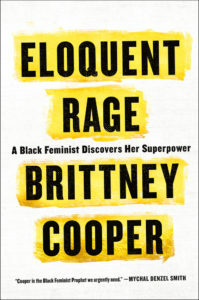 Her writing covers a range of reflections, interrogation, and critiques on political, social, and cultural contexts, including the Boko Haram kidnapping, President Obama’s My Brother’s Keeper, First Lady Michele Obama’s journey in the American public, Hillary Clinton’s political journey, Hip Hop, Beyonce and Lemonade, the Black Church. The key question her work asks, “Are Black girls ever worth fighting for?” is answered through an interrogation of the intersection and impact of race, class, gender, gender identity, and sexual orientation on the experiences of Black women and girls in America. To talk about the Black church, its strengths, its homophobia, its challenges, and its complicity with patriarchy. To talk about Black love: to desire it; to long for it; to search for it; to yearn for it; and to continue to seek it, especially in the context of feminism and patriarchy. To talk about Black women’s friendships, their complexity, their pain, the joy, and the utter necessity. To acknowledge the mean girl syndrome and the pain and hurt it causes, often for a lifetime. To share the power and benefits of counseling, processing emotions and feelings and owning them and controlling them. To talk about White women’s tears and the problematic yet important nature of friendships with White women, especially in the context of feminism and politics. To talk about the fictional White women and girls that we often idolize as Black girls and women in books and TV shows like Ramona Quimby in Beverly Cleary’s books, Gilmore Girls, Margaret in Judy Blume’s book, Nancy Drew, in the absence and paucity of fun, strong, and fictional Black girls and women. To talk about the power of Black women who are mothers, aunts, grandmothers, and other mothers who guide us to womanhood and to our better selves. To share about the power and importance of Black fathers, in their presence and absence. To talk about the class issues (and accompanying judgments) within the Black community, between those who have, and those who have not, and those who pretend to have though they really have not, when the average income differential is often negligible. To share about the differences between Black girl culture and White girl culture and the problematic phrase “acting White” used to label Black girls who strive for academic excellence. To share about Black girl hair and the ritual of sitting between a Black mother’s legs and having hair get done. To acknowledge the complexity of race and gender loyalty in the Black community, in which Black women are often ignored, marginalized, and silenced, by both Black women and Black men. To discuss issues of exceptionalism and jealousy within the Black community. To exhort us to find joy, to pursue laughter daily, to ask more and better questions, and to use our rage for a force for good. Thank you, Dr. Cooper. May we all discover our superpower to transform the world to be more inclusive, welcoming, affirming, loving, caring, and equitable.